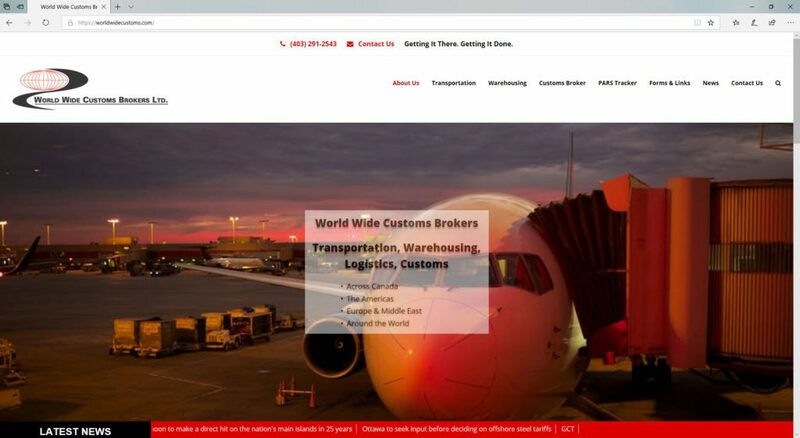 World Wide Customs Brokers is a Calgary-based company, with 12 locations across western Canada in major cities and border points. World Wide Customs has been a client since 2003. We have created several versions of their website, since 2003, and advise/assist them on their social media, and web marketing issues. FoundLocally has worked with them since 2003, when we added content management capabilities, incorporating user-updated links, news, and exchange rates. We completed a recent responsive redesign using WordPress, and improved the news feed on their website. Their site has been refocussed for local marketing for each of their offices across western Canada.